Changing hair color could be as subtle as couple of highlights or full hair coverage. In the past few years, rainbow colors have gained popularity. This year is more about techniques and exploring more hues. 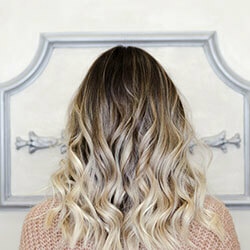 Balayage and Color Melting technique has gained popularity again. So, if you are a bold color enthusiast or a first time highlighter, these trends will be a good guide to every salon-goers or home-dyer. L’Oreal has named their color of the year and rose gold has been on top of it.